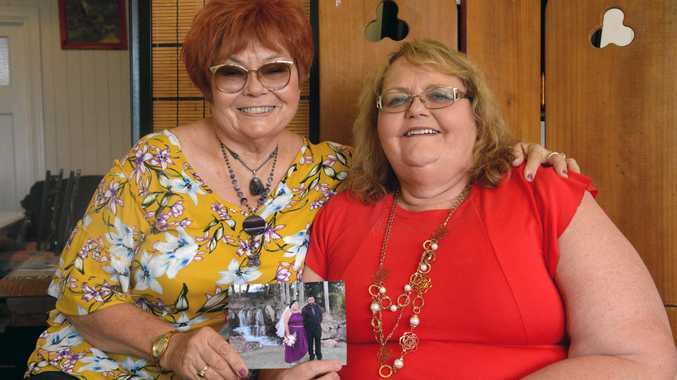 ROCKHAMPTON make-up artist Sonya Galvin was preparing her client for her wedding day when she found out that the bride-to-be's dream wedding was soon to come to a halt. Just four days out from the big day on April 13, the happy couple were left scrambling, with no venues, no catering and no decorations. Determined to give the unlucky bride the wedding she desired, Ms Galvin brought her friend Priscilla Innis on board to help bring the wedding to life in just a few days. "I'm a very compassionate person to others and if I can help someone I do,” Ms Galvin said. "I was a swimming coach and I have experience putting together function and events but this was a big learning curve. "But I didn't expect it to be to that extent. The friends got to work and visited a Country Living closing down sales and pop up stores to nab $100 worth of heavily reduced bargains for $10. Ms Galvin wrote to Rockhampton Regional Council, Kabra Hotel and CQ Party Hire, explaining the couple's short time restriction and their financial struggles. She said council allowed the couple to use Frank Ford Park for the ceremony and waived the usual $150 fee. Ms Galvin also said CQ Party Hire helped out with a red carpet, wedding veil and accessories like the wedding ring cushion. Kabra Hotel provided their beer garden for the reception for no charge and put up the decorations, set up the bridal table and table cloths, organised wine glasses and cutlery. "All we had to do was buy our own meals and drinks,” Ms Galvin said. "Kabra also supplied staff to wait on tables for no expense and a courtesy bus which waited a good 45 minutes for the wedding to be finished and then took the family out to Kabra from the park. Ms Innis said the response from the community was "overwhelming”. "What Sonya did with her knowledge of the Rockhampton community was amazing,” she said. For those in a similar situation to the couple, Ms Galvin had a few words of advice. "Don't sit back expecting stuff to come to you,” she said.